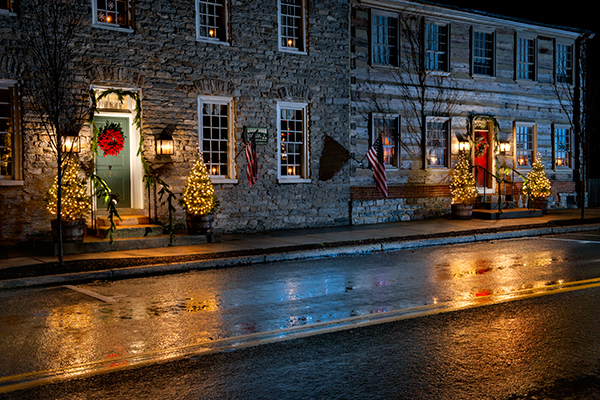 All was calm on this rainy night in Lititz ,PA as I looked for subjects reflecting in the glistening wet road. These old homes along the main street looked inviting with their christmas trees and lovely door decor. This town is such a neat place to walk at night and soak in the ambiance of a close-knit community. This entry was posted in Uncategorized and tagged Christmas, Glow, lancaster county, Landscape, Light Painting, lititz, lititz Pa, Nostalgia, Photography, Reflection. Bookmark the permalink. beautiful Don it is a wonderful picture.